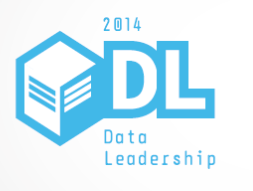 I’m delighted to have been invited to speak at the Information Age Data Leadership 2014 event in October. In my session I’ll be sharing tips for building a BI Centre of Excellence (COE) in an enterprise environment, based upon my experience of constructing and managing IT services at big enterprises for the last 12 years. I’m currently in the process of helping to construct a data visualisation COE based on Tableau Software at a Tier 1 Investment Bank in London. To give a flavour of what I’ll be speaking about, I’ve identified five areas fundamental to creating a successful Centre of Excellence. But if you have any questions ahead of then ping me on Twitter @paulbanoub. There are a ton of tools out there. And a lot of them aren’t that great. Enterprise users are time-poor, under constant pressure to deliver and generally impatient. For the long term success of any COE it is fundamental your applications are easy to use, agile, and feature rich. I’ve been trying to achieve the holy grail of a great BI stack for years now, and finally it seems like tools are emerging that allow this vision to be a reality. When evaluating applications, always look for agility and ease of use. Most of your users won’t have much time to learn the tool; they probably won’t read much of the documentation and also probably won’t have time to attend any training courses. They’ll want to fire-up the application and dive right in. As a result that experience needs to be great from the off. Then once they’re running with it, can they generate their content or achieve their desired results quickly? They’ll generally be happy to trade off some of the more advanced functionality for a tool that gives rapid results. It’s not just about the application. Is the vendor able to support your vision? Ensure your tool choice is backed up by a company that is dynamic, proactive and truly values its user community. How does the company conduct itself? Do you as a subject matter expert feel that your opinions matter? If you’ve got an issue can you get it to the people that matter quickly? And will they take notice of you? With truly great companies you’ll find yourself getting to know the top brass and support teams. You’ll be participating in industry events and being asked to share knowledge with other customers, you might even get an award or two from them. With the best organisations, you’ll see enhancement requests from user forums making it into new releases regularly. You’ll see offers from them to come to your organisation and help with training, demos and Q&A sessions, and they’ll be constantly interested in how you’re using the tool and the value you’re getting. Bad companies will just sell you it and then go quiet. Your service must deliver on two key fronts. Firstly, it must allow users to express themselves, without smothering them in red tape. Secondly, it must be as easy as possible to support. Making both central to your service construction will give the best possible chance for success. Big enterprises generally feature a lot of bureaucracy. Users will already be dealing with enough of that on a daily basis and won’t want your service adding to it. It’s critical to be able to deliver a service that gets users onboarded quickly and with little fuss. Then once they’re onboard it’s vital that your service allows them to use the functionality of the tool quickly, easily and with as much flexibility as possible. There’s no point implementing a cool, agile BI tool and then miring your users in process. That service also needs to be supportable. Chances are your support team will be light on bodies and pretty much flat out the whole time. To be a true Centre of Excellence you’ll want your team to be focusing on the good stuff, helping users get the best out of the tool, training people in advanced functionality and focusing on the industry best practice of the subject area. To do that you’ll need to have chosen the right infrastructure and technologies and implemented them well, supported with solid but agile IT processes. So you’ve got a great service? Don’t sit back and think how great you are. Your power users will be wanting more and more. It’s vital to have an overall BI vision. How are you going to expand your offerings and deliver even more value to your users? I’m creating a Tableau COE. That takes care of data visualisation. But what about data modelling & management? Data integration and mining? They all form part of the overall BI stack and your users will want that. Maybe not immediately, but they’ll eventually ask the questions and to remain in control you’ll need your master plan. Really successful applications / companies are backed by an almost fanatical level of community support. Making the most of this aspect, both internally and externally can turn a good service into an amazing one. Creating a great community takes a lot of dedication. Obviously having the right tool and implementing it well is fundamental. It’s a lot easy to foster a culture of appreciation with a tool that users love to work with than with a turkey that makes their lives harder than it should be. But get it right and you’ll see the benefits. Users will be blogging and discussing the merits of your latest functionality releases as well as suggesting their own enhancement requests. Brilliant blogs will spring up, guiding newbies and experts alike on how to get the best out of the tool and much more. This can all be replicated internally as well as externally. Hopefully I’ll see some familiar faces at the session in October. This entry was posted in Uncategorized by paulbanoub. Bookmark the permalink.